Home > News > Company News > What is Jaw Crusher? Jaw crusher is mainly used as coarse crusher in mining, building materials, infrastructure and other departments. According to the width of the feeding opening, it can be divided into three types: large scale, medium scale and small scale. Those with the width of the feed opening greater than 600MM are large machines, those with the width of the feed opening of 300-600mm are medium machines, and those with the width of the feed opening less than 300MM are small machines. Jaw crusher has simple structure, easy to manufacture, and stable operation. 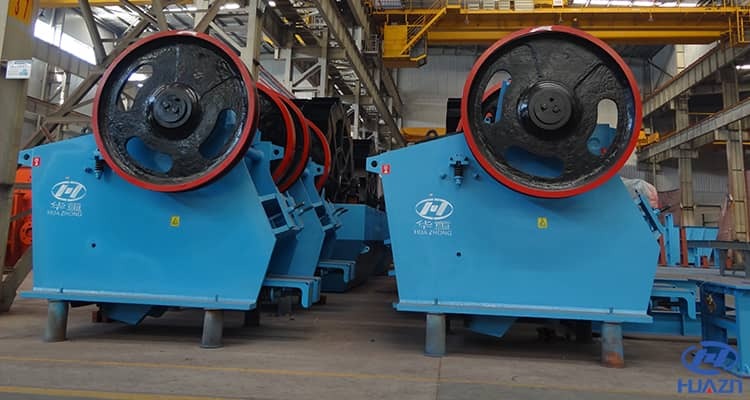 The working parts of jaw crusher are two plates, one is fixed jaw plate, which is fixed vertically on the front wall of the body. The other is movable plate, which is inclined and forms a crushing cavity with fixed jaw plate. The movable jaw plate does the periodic reciprocating motion to the fixed jaw plate, sometimes it is separate, and sometimes it is close. When these two plates separate, the materials fall into the crushing cavity, when they close each other, the materials between the plates are crushed by the force of squeezing, bending and splitting. 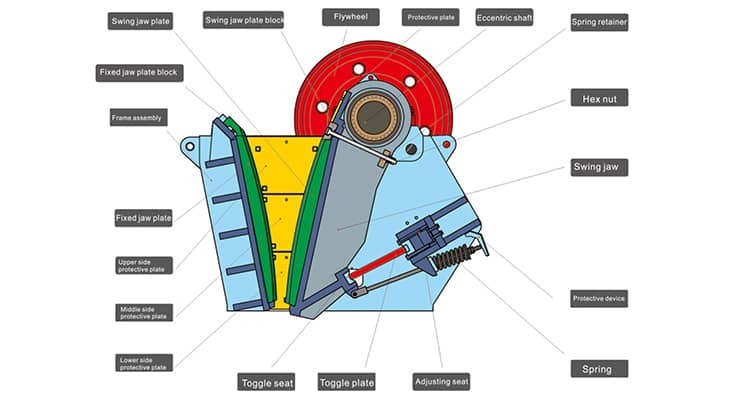 Jaw crusher can be divided into single pendulum jaw crusher, compound pendulum jaw crusher and comprehensive pendulum jaw crusher according to the different pendulum mode of swing jaw plate.